Cosmetic Tattooing often referred to as Permanent Makeup which implies long lasting (3-5 years), has been performed around the world for centuries, now with advancement in technology and techniques there is improved time and minimal discomfort allowing for improved accuracy in design and shaping. 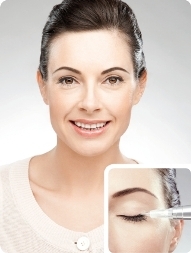 Who would want Permanent Makeup? Busy people - mums and executives with little time to apply and reapply makeup. Allergy Sufferers - who are sensitive to some kinds of conventional makeup or hay-fever sufferers who find it difficult to keep on makeup with sneezing and runny eyes. N.B. Pigment test patching and other precautions may be required for clients with allergies to some substances and for those with severe allergies. Physically Active - sports women, swimmers, and those who frequent the gym or play sport. Alopecia - those who have lost facial hair completely e.g. eyebrows. Asymmetrical Facial Feature - correction of facial features. Visually or Motor impaired - for women who physically can’t put their makeup on. Women who just want to look their best 24 hours a day 7 days a week. What is involved in having a Cosmetic Tattoo procedure? An initial consultation where I assess your needs, discuss any concerns or medical conditions you may have, then together we evaluate colour and I examine how you like to wear your makeup, once you are 100% happy with what we have discussed only then the procedure can begin. A Perfecting Session is usually applied after 4 – 6 weeks when any adjustments, if needed, are made. 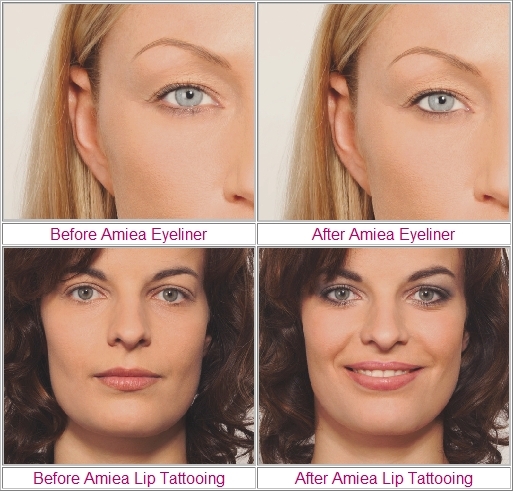 Why have Cosmetic Tattooing with an Amiea? Allow about 2 hours for each treated area, the touch up session often shorter duration. Occasionally only one procedure is required, most often two procedures are required, and rarely three procedures are required. For this reason I believe that charging separately for each procedure is the fairest method for clients, that way you only pay for what you need. There can be some mild discomfort but I use a wide variety of contemporary pain management techniques to ensure there is minimal pain. Generally not, there is minimal discomfort and swelling, you are however strongly encouraged to follow the aftercare advice and not to wear make up for the first 4 days. I recommend that you avoid bright sunlight and wear some dark glasses for 6 hours after eyeliner tattooing. I use single use sterile disposable needles and wherever possible single use sterile disposable medical supplies in all procedures. My technique has also been assessed by a Registered Nurse to ensure that I am following best practice and complying with recommended guidelines for infection control. Needles are NEVER reused. Tip: Avoid service providers who use pigment rings and those who are not following these standards. What kind of tattoo machine do you use? 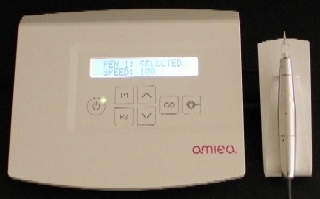 Most cosmetic tattooists in Australia use a Medium/High quality Rotary Pen machine which does a good job of performing a cosmetic tattoo (in skilled hands) however after conducting a detailed comparison between a high quality Rotary Pen and the most advanced Digital Cosmetic Tattoo Machine available I decided to switch to using the Amiea Linelle Supreme. I think my clients deserve the very best! Tip: Choose a service provider who is using the most advanced equipment. 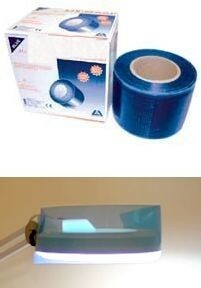 Does your salon comply with health regulations? Yes, my Salon has approval from the local health authority and is subject to regular inspections. I meet and in many instances exceed the relevant state and local health guidelines. If you undergo any form of cosmetic tattooing it is imperative that you ask to see the salons current certificate of approval for cosmetic tattooing procedures. Just because a salon has local health approvals for general beauty therapy services does not necessarily mean that they have approval for skin penetration procedures, always insist on seeing the certificate of registration. For further information from the Victorian Department of Health click here. Tip: Avoid service providers who do not display a current registration certificate with their local health authority. Will you travel to my home to offer a mobile cosmetic tattooing service? Why take unnecessary risks with your health? Tip: Avoid service providers who offer mobile (come to you) services. How much swelling is there? Usually there is only minimal swelling around eyebrows and slight to moderate swelling of the eyelids and lips. Whilst I always attempt to accommodate requests; due to a wide variety of influencing factors including the individual differences between clients I am not able to guarantee any specific outcome. Have your hygiene procedures been audited by Registered Health Practitioner? Yes, My procedural doctrine has been audited by a Registered Health Practitioner, any changes to equipment or procedures are reviewed by, and re-audited by my own health advisor who has 30 years of formal qualification and extensive experience in Clinical Procedures, Accident & Emergency, Occupational Health & Safety, Health Education, Infection Prevention and is a former St Johns Ambulance Honorary Lecturer. Many of the Cosmetic Tattoo service providers in Australia have no training by anyone who has formal qualifications in any health discipline nor do they have any onsite Registered Health Practitioner and yet they may claim knowledge about anatomy and physiology, health preclusions & contraindications and infection control. If required I can provide you this peace of mind for no additional cost, just ask. 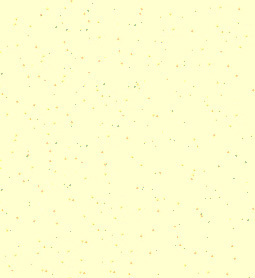 In the past an average of between 3 - 5 years between refresh procedures was often quoted for Cosmetic Tattoos however due to the modern safer ingredients in the pigments and because clients are tending to request thinner lines and much lighter applications of pigment the time frames between refresh treatments can vary considerably. A cosmetic tattoo can last a shorter or longer period depending on your skin type, skin colour, and the colour of the pigment used, the thickness of the lines, how much pigment is deposited and how aggressive your immune system is in metabolising the pigment. Factors such as sun exposure, some skin creams and lotions, exfoliating treatments and many other factors may affect fading of your cosmetic tattooing. Even in the absence of any of the factors mentioned above you can expect that fading will still occur over time but equally with some people the tattoo may or may not remain visible for long periods of time (even with fading) this can vary considerably from person to person. You should expect that a refresh treatment may be required anywhere from a few months up to several years after the last treatment, at the very least I suggest that my clients have a refresh treatment every 1 - 3 years to keep their makeup tattoo looking at its best. Some clients are happy to let their cosmetic tattoo fade considerably between refresh treatments others like to keep their cosmetic tattoo looking very bold and fresh all the time for this reason no guarantees are offered or implied in relation to how long your cosmetic tattoo will last before you feel you need to have a refresh treatment. How do I take care of my Cosmetic Tattoos? 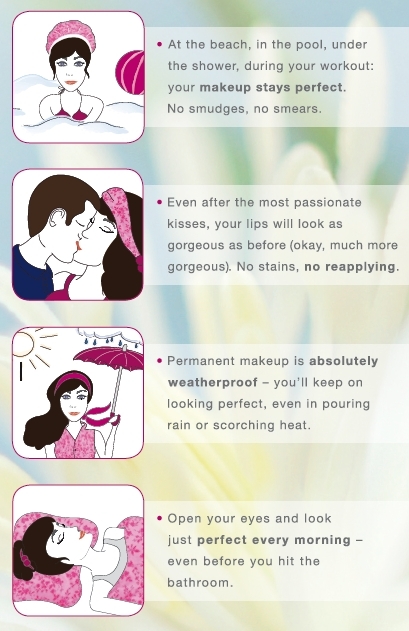 I give you an aftercare advice sheet and a cream to be applied 3 times a day for the first week, after that by just wearing a moisturizer with a sun block, and for the lips a gloss or a suitable chap-stick with a sun block. Sunbathing, solariums, chemical peels, abrasive skin treatments and Retin-A creams will all fade your tattoos more quickly. Tip: Avoid service providers who do not provide you an aftercare kit. Why do some Cosmetic Tattooists refuse to provided services to some ethnic groups? I believe it is inappropriate to refuse to provide client services purely upon the basis of a persons ethnic group but clients with darker coloured skin tones need to be aware of some important factors that may affect the outcome of their cosmetic tattooing . Click here to see more information. 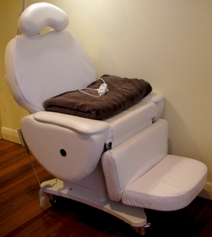 The very latest luxurious electrically operated hydraulic recliner is provided to ensure that my clients are comfortable during procedures, my procedure chair is adjustable at the touch of a button, so no climbing on and off uncomfortable couches, this especially good news for those with back, hip, or neck problems. I even supply a heated blanket if required to keep you warm, it is not uncommon for my clients to fall asleep during their treatments! Click here to see inside my salon. Tip: You will lying down for 1-2 hours during a procedure so avoid service providers who use cheap uncomfortable massage tables. What if I feel a bit anxious during the procedure? If you are predisposed to anxiety or panic attacks or if you are especially sensitive to discomfort please let me know prior to your appointment and we can discuss strategies to assist you. My clients are always appreciative and cope very well with my approach to treatments. I am careful not to overbook clients and I avoid distractions during client consultations, my salon is very private, time is taken to ensure clients do not feel rushed, soothing music is played softly in the background, and careful attention is paid to your skin sensitivity. Clients are never pressured to proceed with a treatment if they feel undecided or if they wish to take additional time to consider the treatment. Tip: Avoid service providers who pressure you to proceed with a treatment or create a stressful environment, if you don't feel comfortable then take some time to consider your options. Are there circumstances when you cannot provide a Cosmetic Tattoo service? You will be required to complete a short medical questionnaire prior to the procedure, in some circumstances a Cosmetic Tattoo service cannot be provided by Andrea, e.g. if you are under 18 years of age, if pregnancy is suspected, mothers who are breastfeeding, persons with healing deficiencies e.g. diabetes, persons with known blood borne communicable diseases are some examples. There may also be other circumstances that I may decline to provide a service. Tip: Avoid service providers who do not request information about your health conditions or those who appear to be ignoring ethical considerations. This depends on what treatment you have but starts at just $100 for a beauty spot. The price can be paid in two payments one at the time of the initial treatment and the next at the time of your perfecting session, or if you pay in full at the time of the first appointment you may be eligible for a discount. If within 12 weeks after your first treatment you feel that further treatments are required a fee of $110 is charged to cover the cost of equipment and incidentals. Single procedure periodical touch ups are charged at the cost of a first procedure. Further details of prices can be obtained after a free consultation to discuss your needs. Your face is one of your most important assets, a careful unhurried approach when applying your cosmetic tattoo is always preferable to a hurried or cheap procedure. Tip: Avoid service providers who promote themselves on the basis of cheap services because you may end up needing expensive corrective tattooing, cheap service providers may be cutting corners on service quality, standards and hygiene. Click Here to see the hygiene standards you should expect. How important are our clients? Due to our unique approach to client services many of our longer term clients say that they end up feeling like part of the family, we like to go just that little bit further and make clients feel relaxed, special, and important. 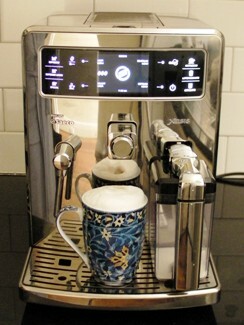 Fresh water and cafe quality English Tea, Espresso, Latté and yes even Cappuccino are available to clients completely free of charge during their appointment, just ask! If a clients appointment is expected to take 5 hours or longer (e.g. full scalp tattooing) then a light snack will be offered to you during a break, free of charge of course! We only purchase premium grade Ceylon tea and the very best coffee beans are automatically ground for each and every cup. Clients often joke that they would even make a booking just for the cuppas! Do you offer a seniors card discount? Yes, Seniors Card's are welcome, click here for further details. What about extreme forms of makeup tattooing? I discourage clients from requesting extreme forms of makeup tattooing because of the increased risk of tattoo regret, whilst ultimately it is your choice if you wish to opt for an extreme style I may decline to provide the service if I form the impression that you are likely to change you mind or if I am not comfortable providing the service. You must bear in mind that while you may have a preference for an extreme look today you may change your mind and may not like that same look in the future. I always suggest to clients that a conventional/subtle choice of makeup tattooing is the best option, however if you do request an unusual or extreme form of makeup tattooing and if I do agree to provide the service then it is done so completely at your own risk. What does the term Eyebrow Embroidery mean? The name "embroidery" refers to a form needlepoint sewing a technique that creates raised designs that are woven through fabric, it is misleading to use the word to describe cosmetic tattooing because it is impossible to embroider a tattoo. Some technicians will use several different terms such as "embroidery" in order to re-brand tattooing with a cheap hand tool. Tip: The finest hair stroke tattooing is achieved with the latest microscopic needle the 1 Micro (the finest needle available), technicians need have the most advanced Amiea digital equipment and use a special 'Precise' hand piece, and be specially trained. I attended intensive training with the manufacturer in Germany with this advanced equipment and I am the authorised Australian trainer, at the time of writing I have not trained another Cosmetic Tattooist in Australia in the use of this ultra fine needle. If you want to know about ultra fine eyebrow hair strokes, just ask me. Is it true that using a hand tool to softly tap pigment into the skin is more gentle? No, hand tools tend to place pigment at irregular depths into the skin, the tattooing often fades faster compared to using premium quality digital equipment. Does membership of an association guarantee a high standard of service? There are a variety of industry associations both in Australia and internationally, overwhelmingly most if not all are independent self appointed groups that have no official regulatory standing, some will even accept membership from those who merely "intend" to undergo a training course and with many associations the main requirement is the payment of an annual fee. The code of ethics/standards of the various associations are sometimes ambiguous and subjective with a fairly passive attitude towards enforcement of service standards. Industry associations can be a nice social and collegial support network for the participants but they are not necessarily an indication of the standards or the quality of services provided to clients. Some of the corrective work that I am asked to perform is due to services provided by technicians who were members of various associations. I am an Executive Member and Co-founder of CosmeticTattoo.org the Global Membership List for the Cosmetic Tattoo Industry. I had direct input into the creation of, and I fully comply with; the Code of Ethics & Conduct for the Registered Members of CosmeticTattoo.org which are more clearly defined and have a higher standard required than most associations. Tip: Always ask if your chosen service provider complies with the CosmeticTattoo.org Code of Ethics & Conduct. Is training in USA tattoo hygiene standards higher than in Australia? The regulatory requirements for tattoo services in the United States differ considerably from state to state and although Australian standards also differ there is far more uniformity in Australian standards than in the USA. I believe that in general Australian regulatory standards for the tattoo industry are higher than in the USA, and a Cosmetic Tattooist in Australia should be providing services to Australian standards not USA standards because USA regulatory requirements have no force or effect in Australia. If a cosmetic tattooist has genuinely undergone a comprehensive training program in Australia the training should have included detailed instruction in hygiene, infection prevention and prevention of transmission of blood borne communicable diseases to the regulatory requirements in Australia and ideally the training program should have been audited by an Australian Registered Health Practitioner. It should also be borne in mind that the regulations both in the USA and Australia primarily relate to the body art industry and therefore they should be regarded as the "minimum standard" rather than the standard to be aspired to for Cosmetic & ParaMedical Tattooing. Tip: Look for a service provider who provides Cosmetic Tattoo services at a higher standard than is required under the local Act and Regulations, a clinical approach to Cosmetic Tattooing is 'Best Practice'. Q: Andrea what do you look for when getting your own Permanent Makeup done? This is a sensible question because nobody is going to be as cautious and particular as a ParaMedical Tattooist is. I would not book anywhere unless they were offering Cosmetic Tattooing with an Amiea Linelle Supreme and Amiea Derma Safe Pigments, because quite simply I only want the best. If the Cosmetic Tattooist cares about the finished result of my Permanent Makeup then they will use the best equipment, pigments, hygiene & standards for my procedure. Click Here If you would like a downloadable pdf brochure? You may like to ask some questions or joint the discussion on one of our forums by clicking here.